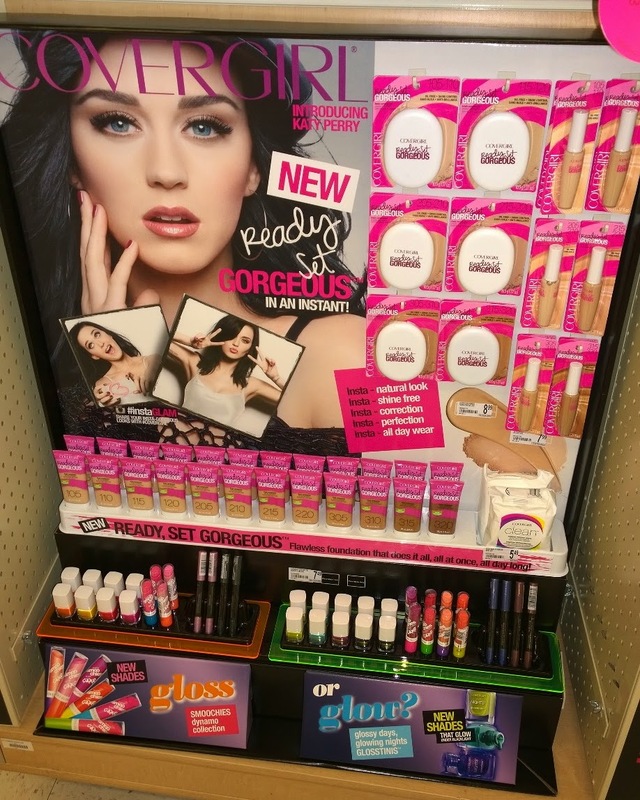 Today's video and blogpost is featuring the new Covergirl & Katy Perry #instaGLAM collection. I looked everywhere for mine.... Target, Walmart, CVS and Ulta. NO LUCK! I finally found the display on the end cap at Walgreens. YAY :) I was so excited to try this out. 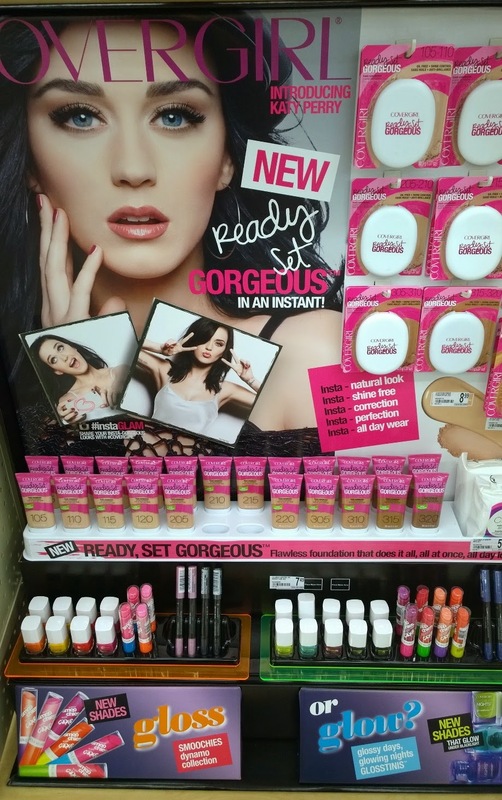 I'm a fan of Katy Perry and her makeup so I really wanted to try this line out. I have a haul video showing you everything I picked up from the line but I wanted to share with you exactly what the display looks like in the store and all of the other products that they have, that I didn't pick up. 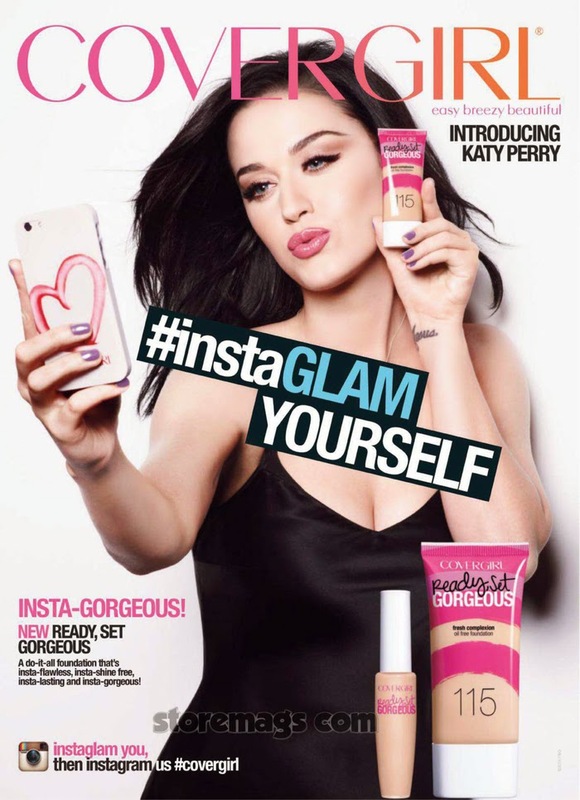 Here's the gorgeous Katy Perry showing off the new collection. How amazing does her makeup look??? I'm in love with this look! So the collection has a new foundation, concealer, powder foundation, makeup remover wipes, nail polish, lipslick smoochies, and fat eyeliner pencils (cream shadow sticks) whatever you want to call them :) They also have a huge range of new shades of the Outlast All Day Lip Color. This is what the display looks like. It's actually a really eye catching display. 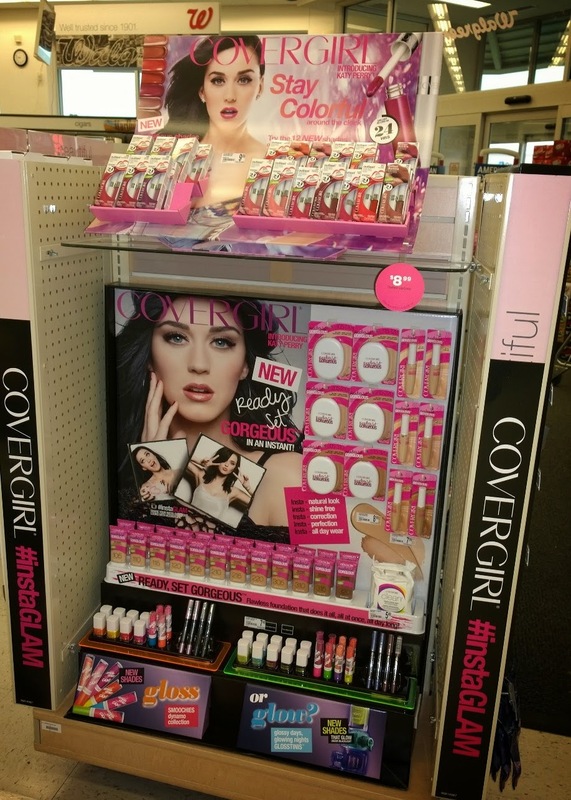 It's all very easy to find the shades and products. Here it is including the Outlast lipglosses up top too. 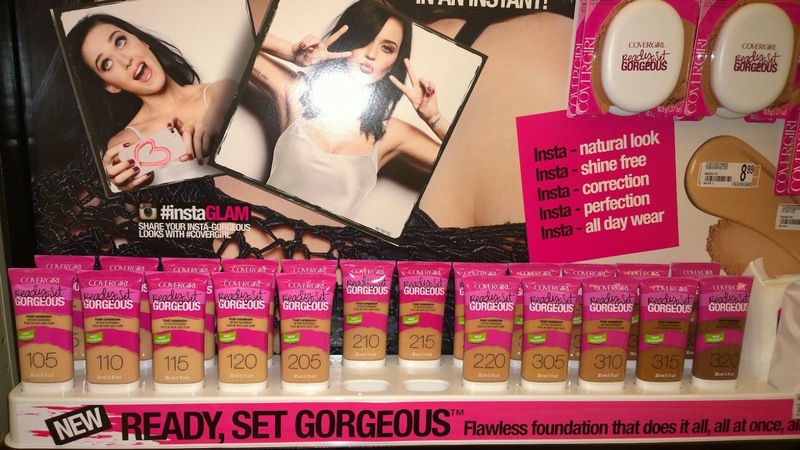 The Ready Set Gorgeous Foundation was on sale from $8.99 down to $6.99 and same for the powder. The concealer was on sale for even cheaper at $5.99. For those prices, it's hard to pass up! There are a nice range of shades in all three of the face products. I feel like a lot of different skin tones will be able to find a shade that works for them. I will have a full review and application of the foundation, concealer & powder coming up very soon, so keep your eyes open for that. There are 12 shades of foundation, 6 shades of powder and concealer. They have numbers on the powders and concealers that match up to the foundation so that if you are having a hard time, it kind of helps decide for you. I did feel like the concealer runs a little light (but does end up looking good) and the powder runs dark, so keep that in mind. 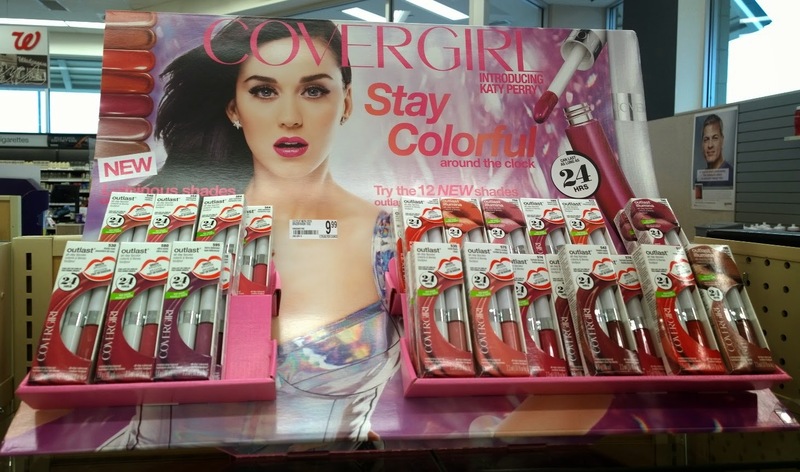 Now they also have some new Colorlicious glosses. These had 13 shades ranfing from a very frosty champagne, a hot orange to a deep plum. These are very glossy and so far seem very nice. They are not opaque color though. 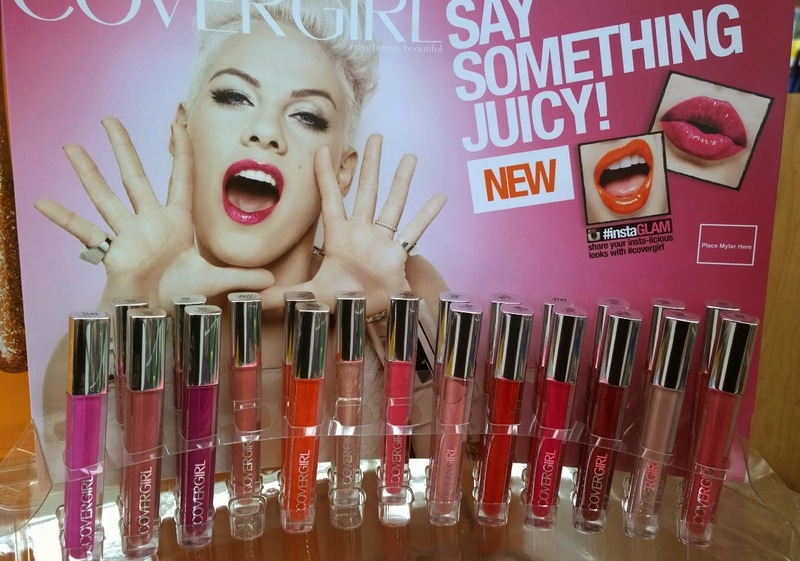 These are a typical, more sheer lipgloss. They do smell like playdough. Lots of fun, vibrant colors for Summer. I will be doing a lip swatch video and review on the shades that I picked up soon too. So that is the collection. Don't forget to watch my haul video to see which items I picked up. What items do you have your eyes on? Which ones "float your goat?"